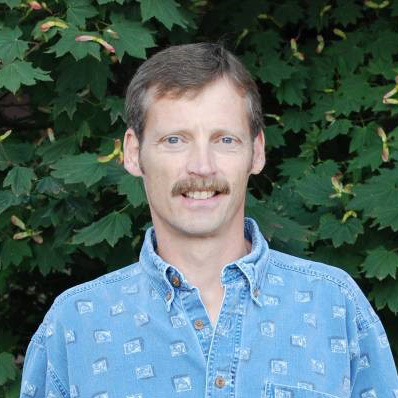 Dr. Paul Schreiner is a research plant physiologist at the USDA-ARS Horticultural Crops Research Laboratory in Corvallis and conducts research on root and nutrient physiology of grapevines, including the role of arbuscular mycorrhizal fungi (AMF). Current research goals are to: 1) characterize nutrient requirements of grapevines based on physiological performance and fruit and wine quality attributes; 2) understand how management practices influence root and AMF development, diversity of AMF in roots, and vine performance; and 3) understand how other soil organisms alter root and AMF functions in vineyards. Paul received a B.S. in biochemistry in 1985 and a Ph.D. in plant physiology in 1992, both from Penn State University. Paul has worked on mycorrhizal fungi since 1988 and on grapevine physiology since 1999. He has published 50+ peer-reviewed research papers, and 40+ other publications.